The prices are out of control for these Aussie Acans. These pieces are everywhere & most aren't even that nice. I've seen at least 4-5 vendors selling these. If you're buying these why? The market is being flooded, why not be a bit patient & force them to lower prices. I'm not heavy into LPS so maybe I don't understand. This is crazier than any of the Sps rare coral infaltion hype I've seen over the years. Yes I know Australia only lets certain areas to be harvested occasionally, but it's not that rare. For people that don't know anything about human nature & the "maddening of crowds" this is a classic case. Do a search on tulip mania & you'll understand what I'm talking about. Basically, if you're one of these people buying up all this stuff thinking you're going to make a killing re-selling frags, you'll be one of the many holding the bag on a coral that will drop like a rock in price eventually. I already personally know of people getting these Acans dirt cheap..........the decline is already starting. I remember not too long ago when single ricordia frags were going for $400 a piece & they weren't even that rare. Seriously though. It is one of those things about this hobby that will drive you nuts, yet will never go away. For some, it is like the stock market. They hope to buy high and sell higher, while for others it is just what they are in to. One thing I have learned in my close to 20 years in this hobby, is that "the people" will never band together as one to make a point, whether it be to protest insane prices, or to boycott a company with inferior quality of products or service, there will always be those that just don't care. Yeah one of my LFS in Cincinnati wanted 89 for this dying aussie acan. I asked one of the workers if I could buy it cheap a a scratch-and-dent coral but they said they could not go lower than 10%. Then he can me this whole speech about how hard it is to sell corals in Cincinnati and how the hobby was not well established enough, which is total crap. Just provide good product for a good price and you'll have success. I used to think the prices were eventually going to drop but they never will or at least wont anytime soon. Maybe in 10 years, but they're just as likely to get MORE expensive then less. The price I paid for a colony from the original trial shipment which was the first shipment legally exported from Australia is still the going price now even though I'm guessing at least 10 000 colonies have been exported. I guess we can find out by looking at cities numbers but where I got mine has brought in at least a couple thousand colonies. While its true you can now get the dull ones cheaper, the rainbow 3+ colour ones are never going to drop in price. They are more or less one of a kind and 100x nicer then their indo counterparts. 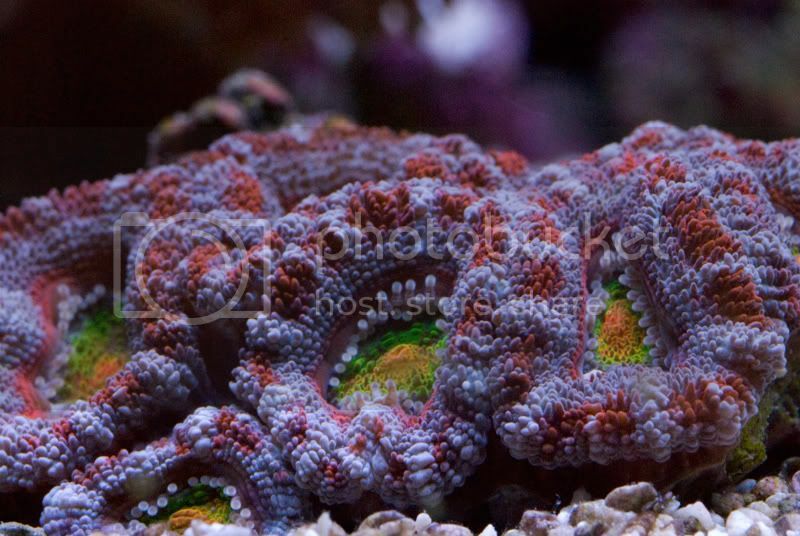 It's not that acan lords are rare its that red pink and blue ones or whatever colour combo you are seeing is. Out of the 1000s and 1000s of colonies I've seen in person very few are alike. 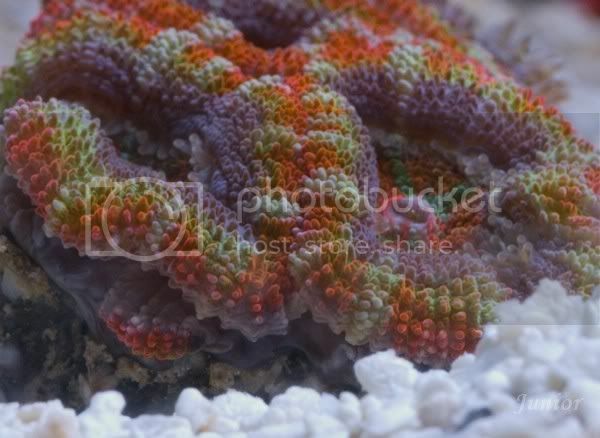 It's not like zoas where we see the same colours coming in week after week with the occasional different one. I had this same argument months ago. People on here talking up aussie acans at $200-300 a HEAD and making that out to be a steal and the lowlifes selling them for that to be great guys. They buy them, start threads with photoshopped pics talking about how amazing they are and how the price will never go down, Then low and behold, coincidentally, they have a few selling threads for aussie acans making them an amazing profit. My lfs, Coralreef farm, has VERY nice multi colored aussie acans for $150-200 and these colonies have between 15-25 heads. Dont know where these aussie price gouging supporters learned their math but that is between $6-15 a head. Much more reasonable and FAIR unlike the $100-250 a head many gougers are charging. I don't think they are all that great so I'm waiting it out, I can already get the candycane looking ones pretty cheap since they are old news and that's good enough for me. I bought some orange ones pretty cheap for the b/f though. I won't buy anything priced by the polyp though. I bought one from my LFS and I paid $250 but it has about 25 heads ... it's the only one I have bought. I like some of the other colors but I will wait for the locals to start trading frags. The prices online are nutz! I'm with Andrew. The nice rainbow color with 3, 4, even 5 colors are going to hold their value. I haven't seen them for over $100 a head, so I'm not aware of people even charging $200 or $300 a head. I've seen colonies of the nice rainbows for under $600 with approx 15 heads, $45 a head or so. And I've seen colonies with 2 colors with 15 heads for around $150. Obivously the prices are inflated, but realized importers and LFS's are out to make money. Its a business, not a friendship. anyone buying coral with the mindset that its going to make them a ton a money has to be prepared to take a bath on them. I've got about 25 small - large colonies, and I think I've lost 1 in the last year. As recent as yesterday I pulled one up to frag it, and it started with 6 polyps, and now I have a solid ring of babies, totaling 18 babies all at once. So I don't get it, I cant be doing something so different that makes them flourish. However I have to agree, a lot of online retailers are out of their mind for the prices they are trying to get. Really?!?!?! Everyone who frequents this forum(like yourself) knows for a fact that they were being sold for well over $100 a head and up to $300 a head. Three months ago, i was made out to be the jealous idiot in here for speaking out about websites charging hundreds per head and chopping up these amazing colonies for INSANE profits. Weird,all you have to do is dig up the old thread where everyone is talking up their buddy Clint for selling acans for $150-250 a HEAD. Not sure but i have a weird feeling that you were posting in that thread as well. All his buddies were saying what great bargains they were and the prices were fair and would stay that high. The funny thing is all the people that said i was completely wrong about him and that they bought whole colonies from him and would post pics, never did Weird??? Another thing the per head prices are done by chop shops, no offense to them but these are guys buying colonies from other stores or wholesalers not importing their own. In turn they aren't left with the plain ones no one wants, but they also aren't paying the sub 100$ a colony price places that are importing their own are. Those prices will change as they are left with frags unsold and as more people find their own colonies. Some people would also rather pay $100 a head for 2 heads rather then $800 for a 50 polyp colony. Why I don't know, maybe $200 is all they want to spend even if for 5x more they could get x10 more. A lot of people don't have access to the nice colonies since there are only a few select places importing them. A lot of people are scared to frag acans too they're expensive and there is some moderate risk you take in chopping them. Sure for a lot of us its relatively easy but if you've never done it then its downright scary. While the per polyp prices may drop to more reasonable levels (they have never been that extreme here in Canada) The colony prices seem to be holding their ground. Should the importing stop then the prices will skyrocket. If 1000s of colonies coming in isn't slowing down the market, I don't see what will. I'm seeing equally outrageous prices on chalices these days, and not just the watermelon. $100-250 for less than an inch. I saw the acan craze coming (and admittedly got cought up in it for a while), but was pretty much blind-sided by the chalice craze. Well, i'd disagree about the market not slowing down. Apparently, sales have slowed to the point where people are now denying that they were ever sold for $100's per head when we all know that they were. People that had a hookup spent a ton of money for them in the hopes of fragging them and making HUGE profits. Alot of those people frequent this forum talking up acans and the notion that their prices will never drop. Unfortunately for those people, prices HAVE plummeted and now they are out big $$$$$. Prices will skyrocket?!?!?!? what? The online vendors will try to charge more than the $250 a head they wanted 6 months ago??? Prices will NEVER be that high again, no matter what happens,imo. People will pay whatever they want for something, heck people pay $5k to get a $300 WII right away. Personally though, i find it a little offensive when people try to make profits in the thousands of %'s and expect us to thank them for it. Everything is rare until the market is flooded & the demand drops or people start to wise up & quit getting sucked in. I agree with you 100% Big E! The aussie "investors" will say anything to try and keep the prices INSANELY inflated. It's weird how many different people are posting pics of their exact same "1 of a kind" rainbow aussie acan! I love the argument that Australia will stop exporting them so they are so rare and the price will stay ridiculously high. Who really cares if Australia stops exporting them at this point??? Most of the aussie acans that have come here were bought up by chopshops or guys who have bare tanks with countless frag disks laying on the bottom waiting to be fragged up. I really don't remember of a thread where Clint was selling Aussie acans for $150 to $250 a polyp. Maybe Japanese, but not Aussie. If you can dig it up that would be great. I'd like to read it so I can laugh. I know of only one place that sells or sold Aussie acans for more then $100 a polyp, and that was Atlantis. But they are over priced IMO. But everyone defends Atlantis by saying well they have a huge collection of rarities and you can get it all in one place, and that they are nice people. Thats cool, whatever. But I doubt that they even sell it that much now days. When the aussie first came around I can understand $100 a polyp. But never $250. What websites do you keep refering too that sells them for so much? Really I'd like to know. I was talking about the colony pricing not the per head stuff done by chop shops. I don't worry about that stuff because it doesn't apply to me. I buy colonies or trade frags. I may buy frags too but I don't get caught up in buying from someone who already bought the colony to make a profit. If Australia stops exporting there there will only be chop shops. You can't tell me Canada is the only place that gets full colonies. Yeah there's the one shop Clint and all them get theres. They are the nicest but plenty of other small local reef shops import directly from Australia too. I'm sure with the much larger demand for this stuff there are plenty of US stores importing as well. Do you think those prices are insane? I don't. But I have to agree that some on here are charging way to much for corals. Last edited by jjmcat; 01/07/2008 at 04:56 PM. those are colonies and nice colors, but there are still stupidly high per polyp prices on there. -it's okay to eat fish because they don't have any feelings. supply and demand, just like everything else. If you want something the second it comes out, and its the best of the best at the time, expect to pay dearly for it. I don't see why everyone is up in arms about it, no one forced anyone to buy them, its not like they are selling insulin for god sakes. Obviously people were willing to pay those crazy prices, so really its as much their fault as any one else's. I everyone said no way I don't pay that, then the price never would have gotten the way it is. How come everyone isn't screaming about the price of micro's they are obscene too, and have been for a while, and still are...and they are not nearly as nice, or big as an acan. Personally I have no problem paying 30-50 a polyp for a coral that's got 5-10 colors, and has really cool eating habits, etc. I think I've got some of the craziest around, and I never paid more than 50 bucks a head. I would pay 50 a head for something like this all day long...im not going to be able to buy a ton of them, but ill still buy them. Hell look at purple deaths...I bought 2 polyps maybe 6 months ago, and I've got like 50 now, and they sell for how much? Every couple of months and a topic like this comes up. Just buy what you like and can afford. This is a hobby. Wholesalers, retailers, resellers, etc... can sell them at which ever price they want. If you want to wait for the price to drop, then wait. Their is no need to talk about Clint and Atlantis. By the way, Clint is a very fair and nice guy if you every get a chance to meet him. By the way, those are some very nice looking lords juniormc. Wow I didnt go to the other page. I think at the end of the day it is what the market will bear..... if someone knows they can get more money for it they will try to. Remember the Indo Acan Craze a while back...something that used to go for $250 now we can get it for $40 here...and no one wants them. At the end of the day is the person who fork out the money thinks the acan is worth..... but don't hold your breath that it will worth that forever....once the moment is gone it will be just like the $40 selection. Don't get me wrong I am a Aussie Acan collector as well but I for one won't go spending $800 on a colony but I will spend $800 other stupid things.